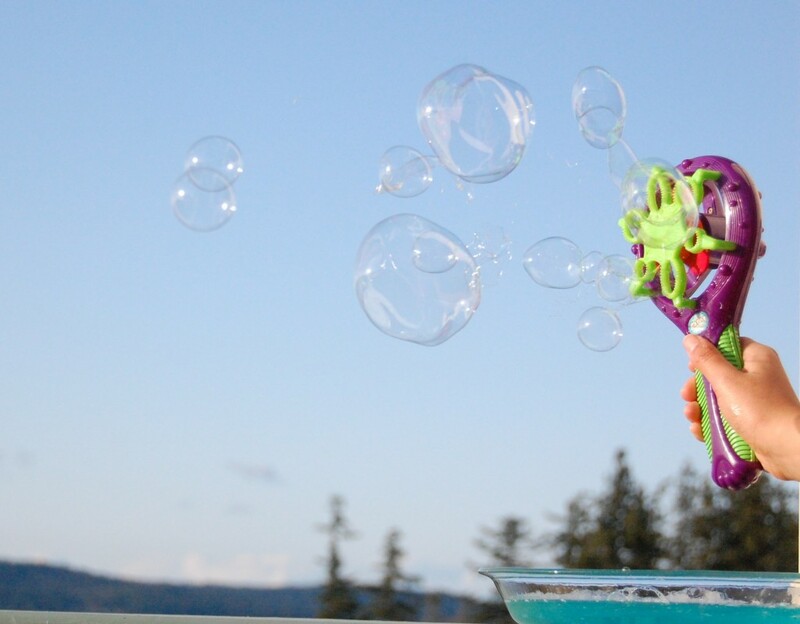 Kids of all ages delight in blowing bubbles. 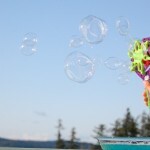 For more colorful bubbles add a few drops of food coloring. Pour water, dish washing liquid, and corn syrup into a plastic container with lid. stir or shake to combine. After mixing, let solution settle, then pour into a flat container, making it easier to dip your various wands. Dip purchased bubble wands or homemade bubble blowers into the mixture, then wave the wands slowly in the air. Seal unused portion for later use.